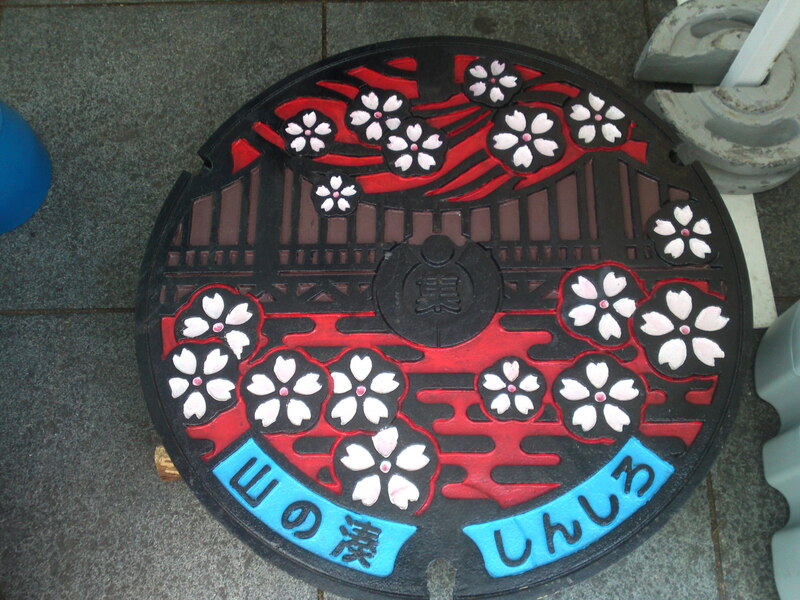 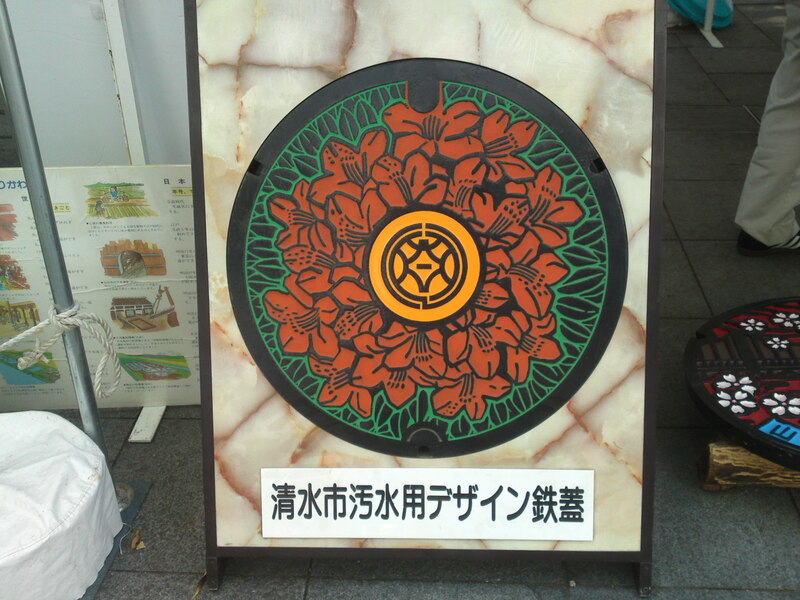 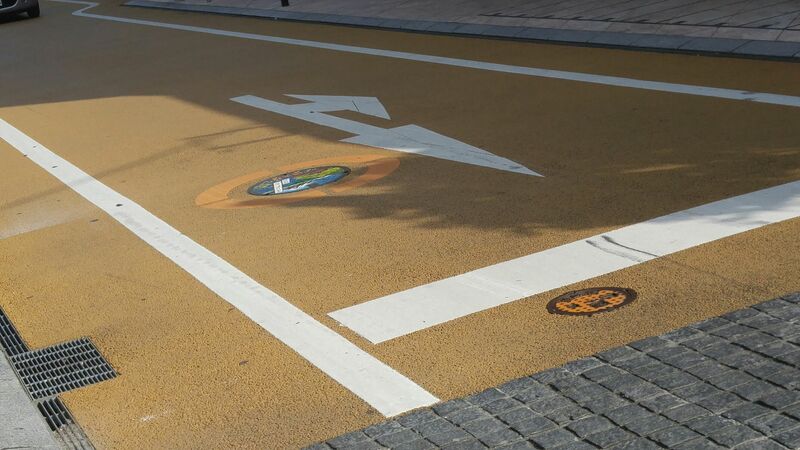 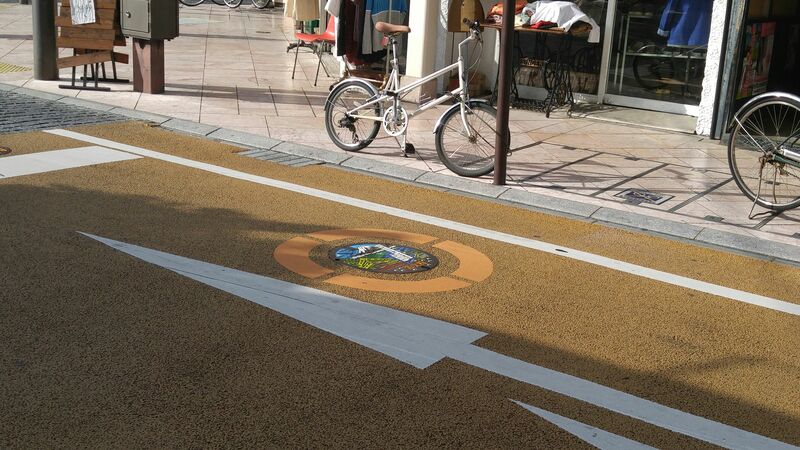 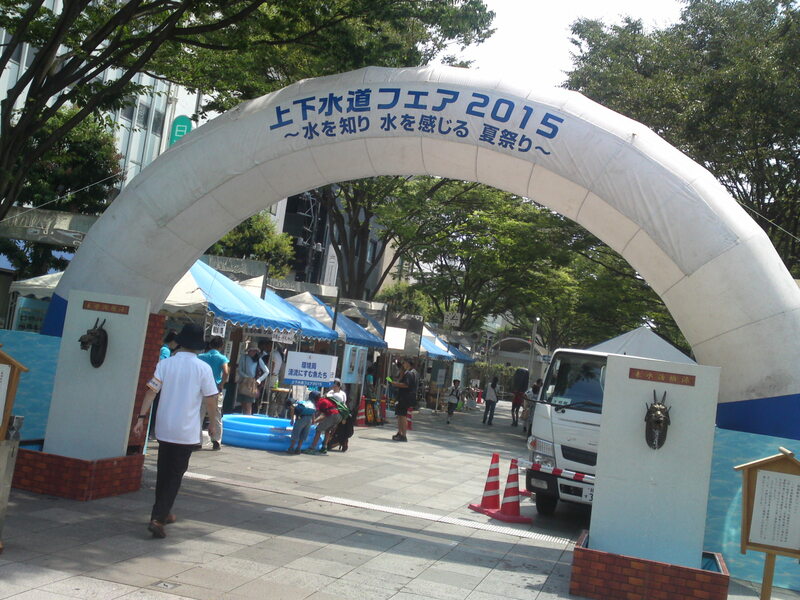 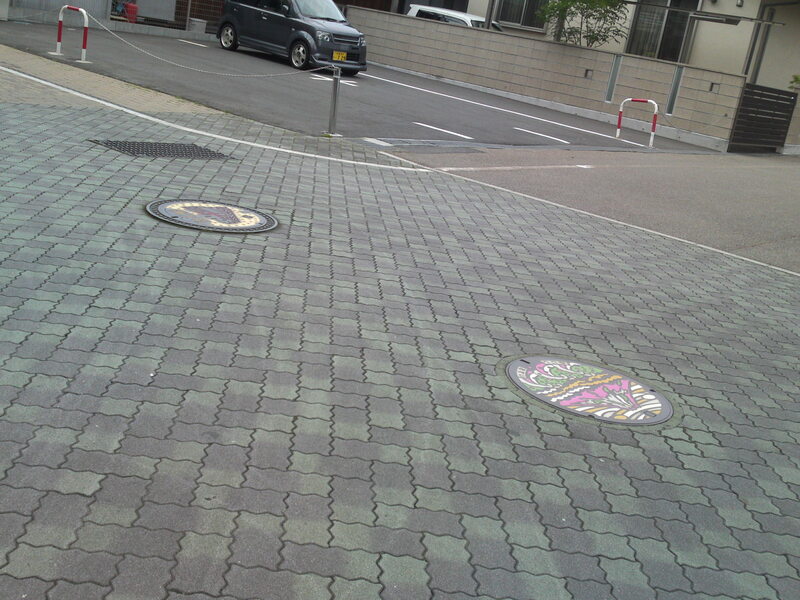 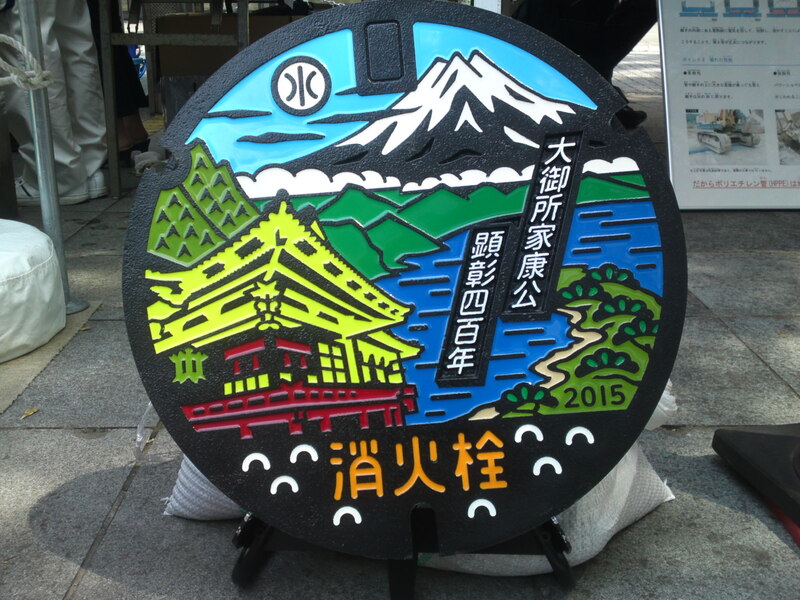 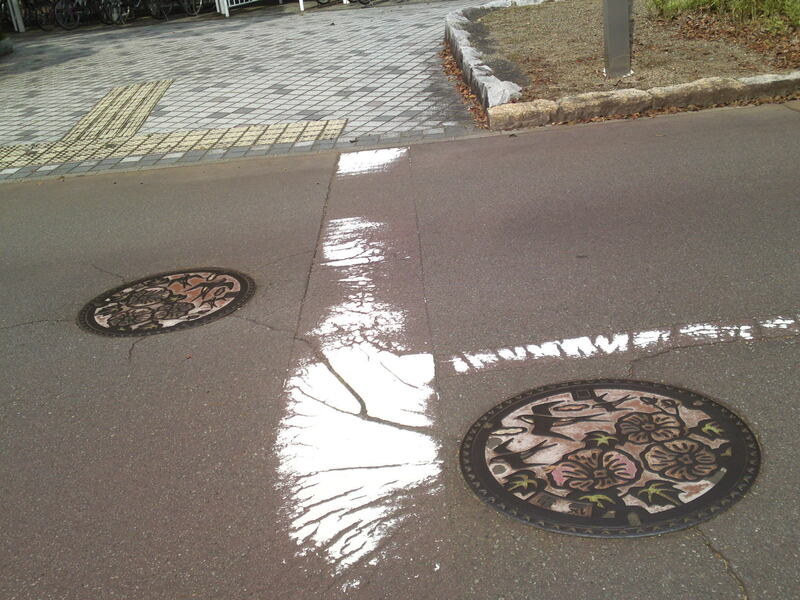 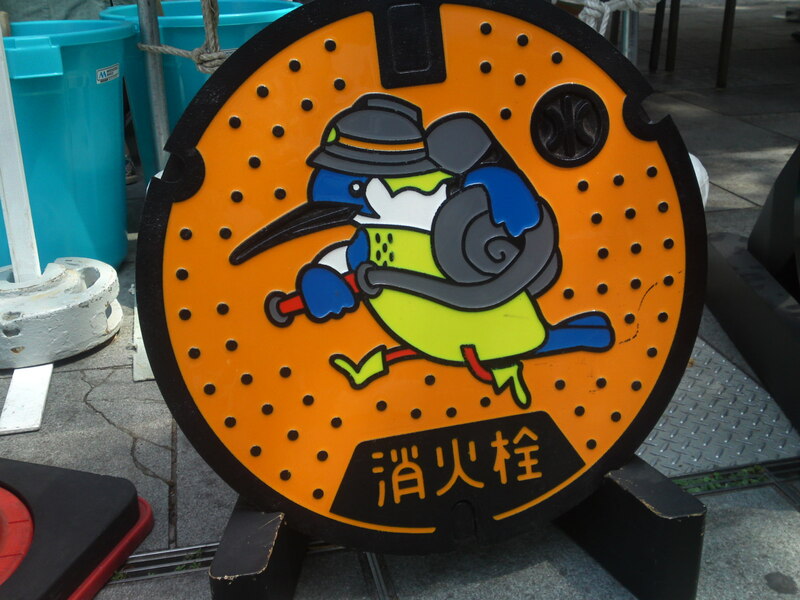 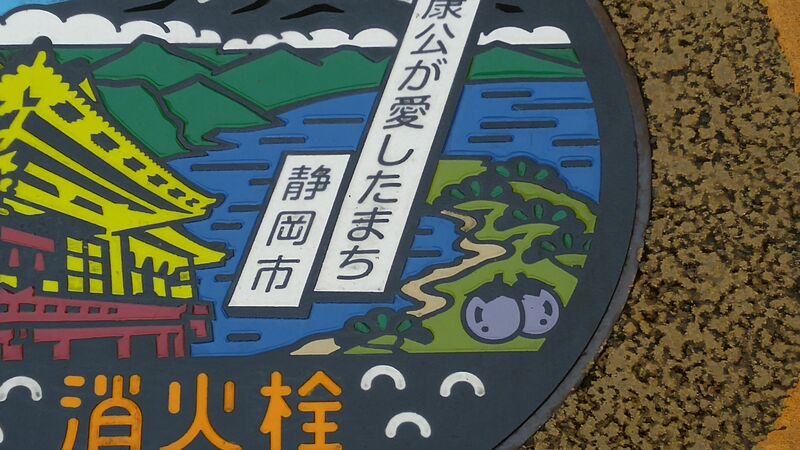 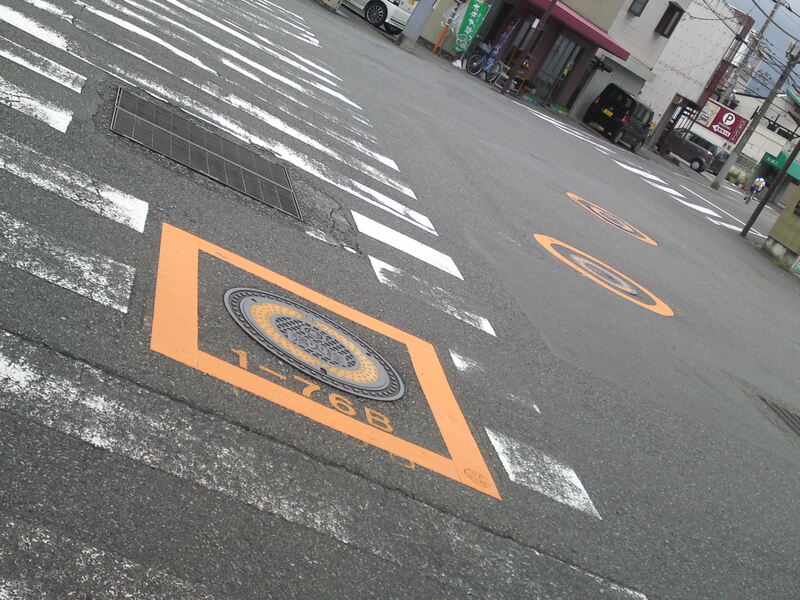 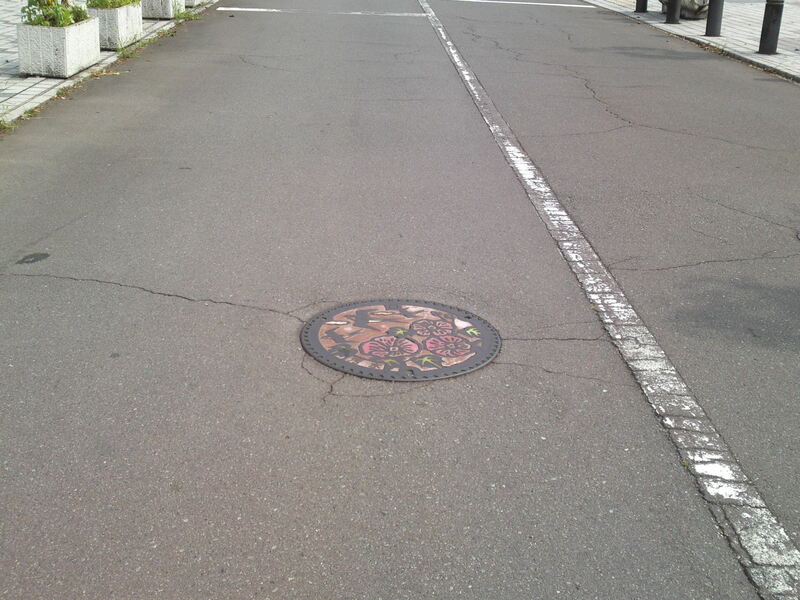 40) New Commemorative Fire Hydrant Manhole Cover 2nd Type in Shizuoka City! 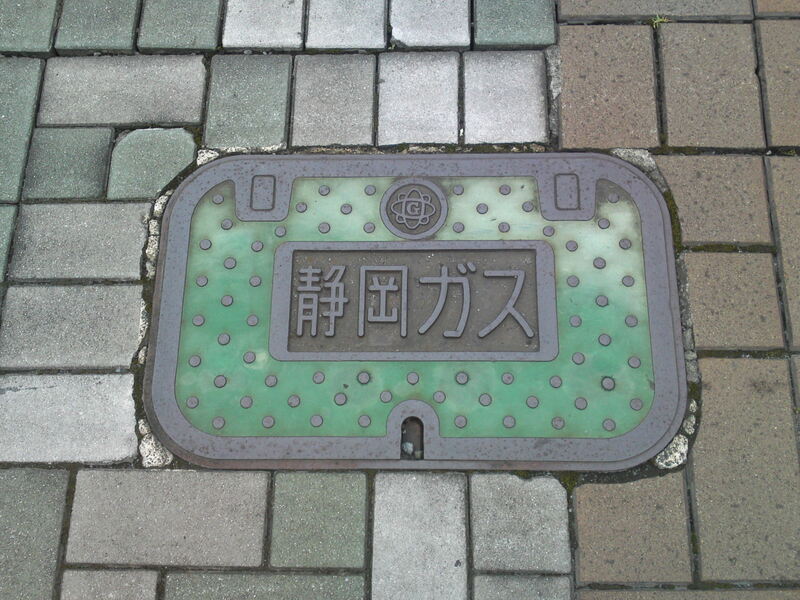 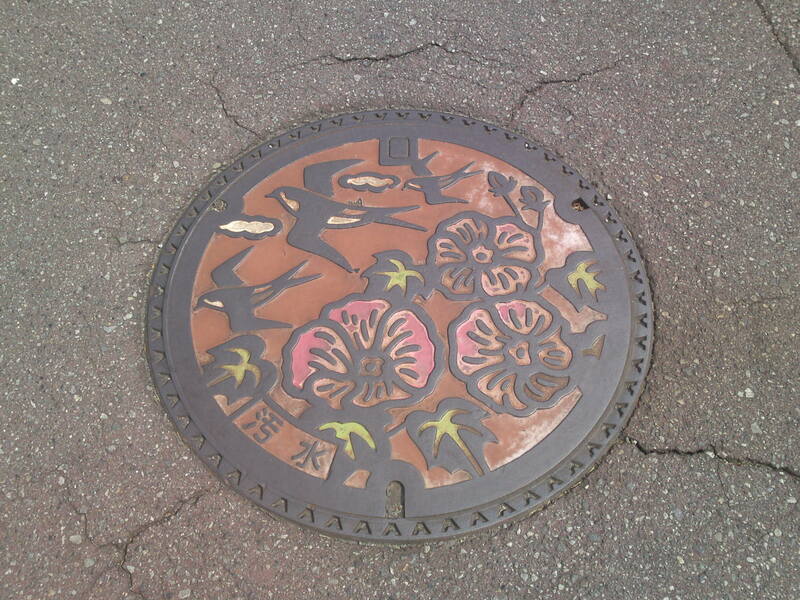 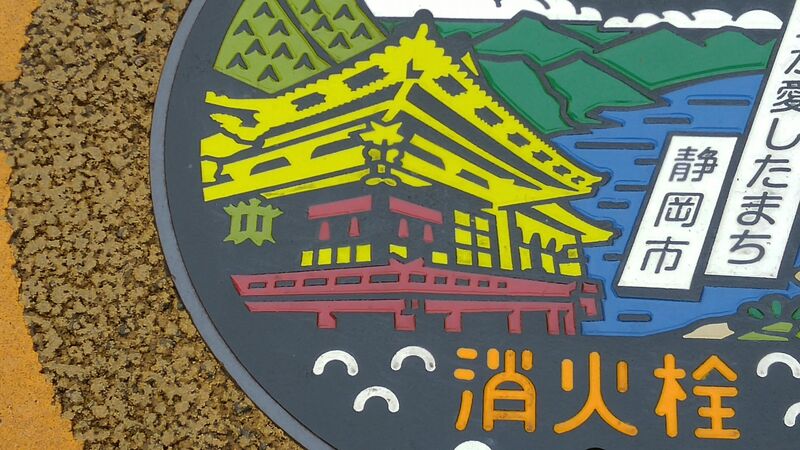 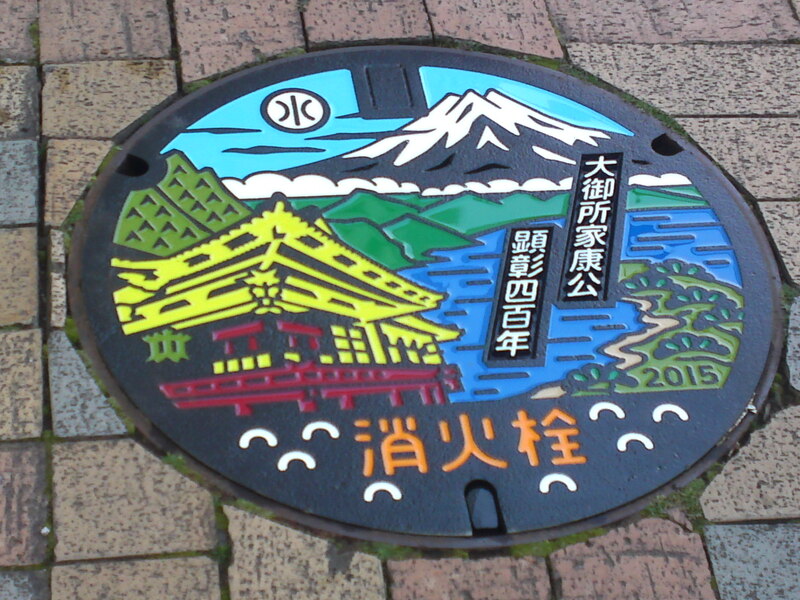 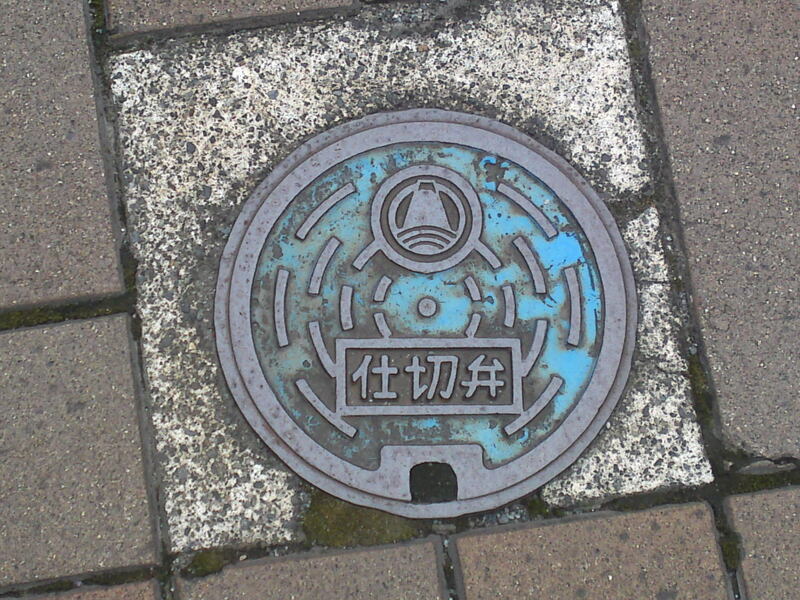 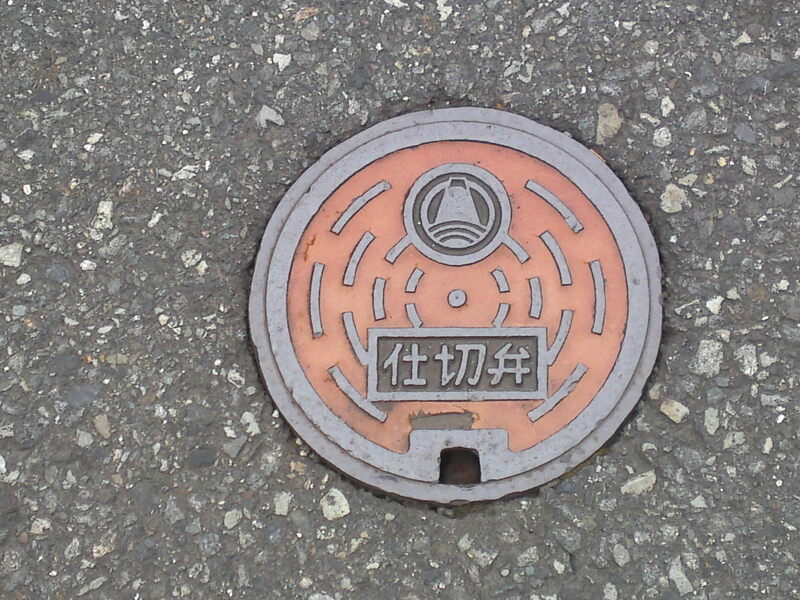 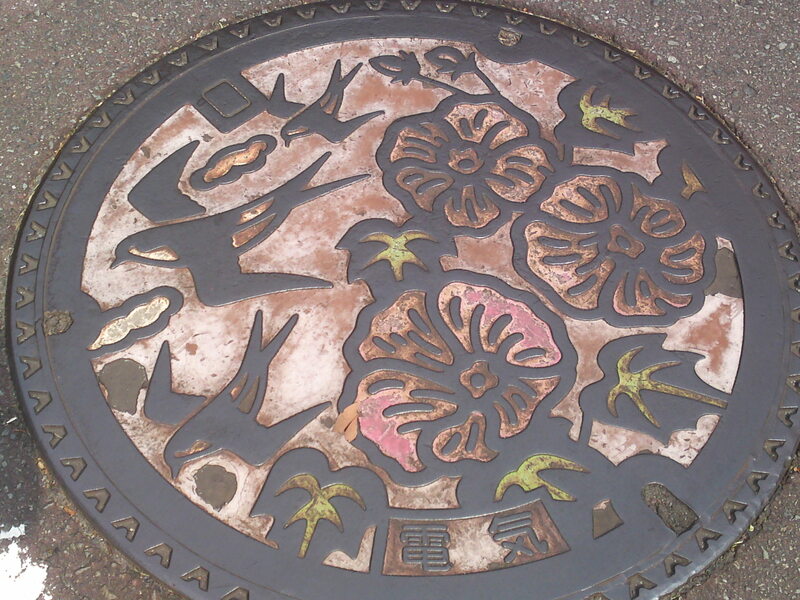 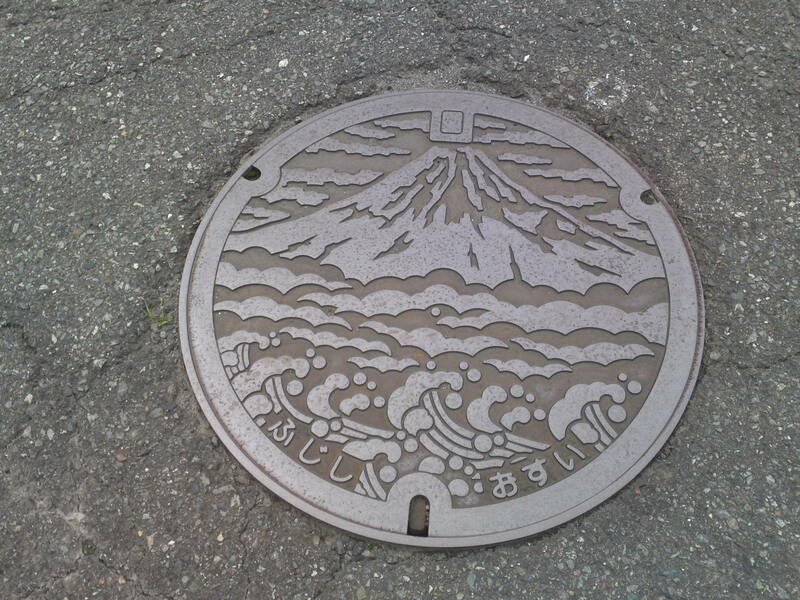 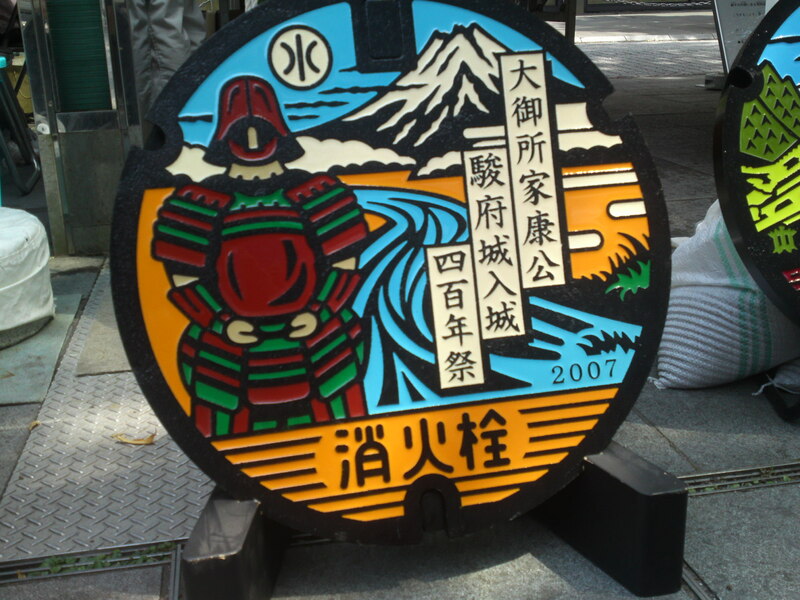 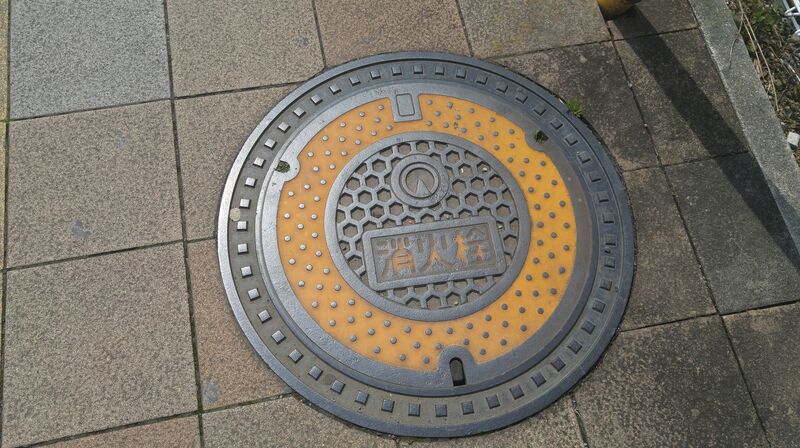 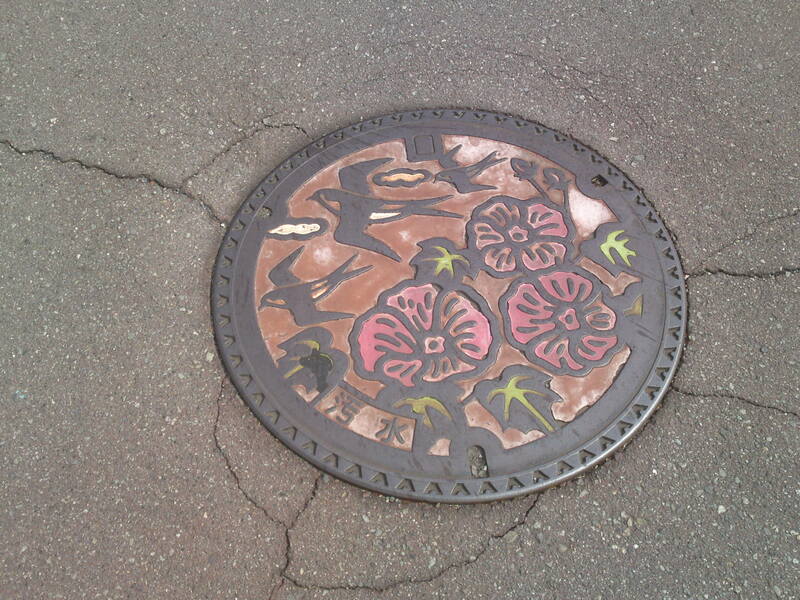 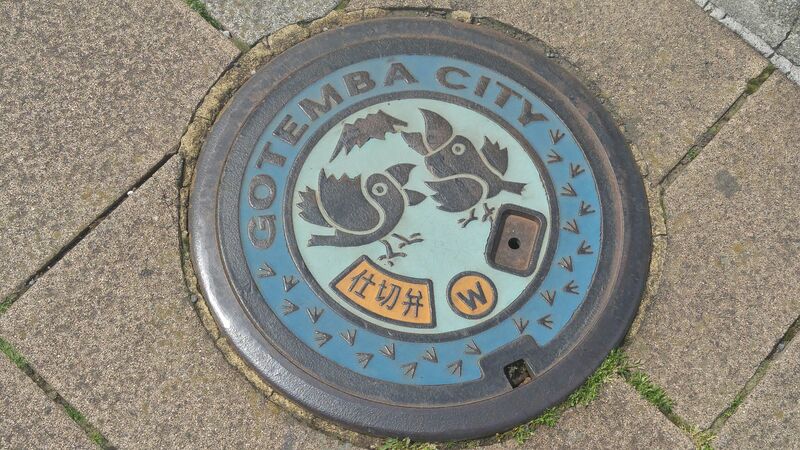 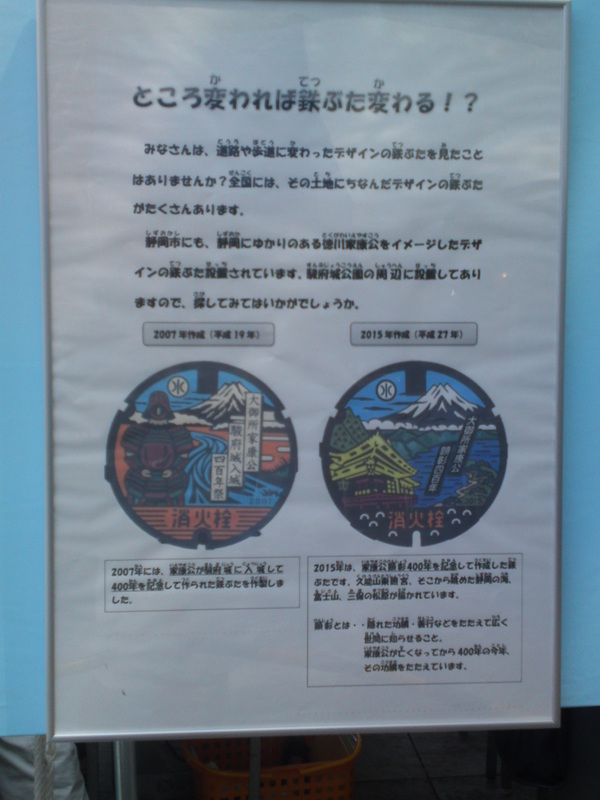 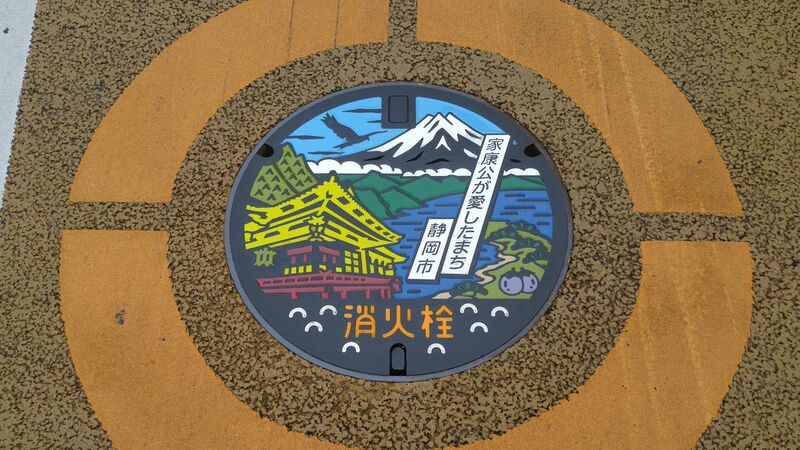 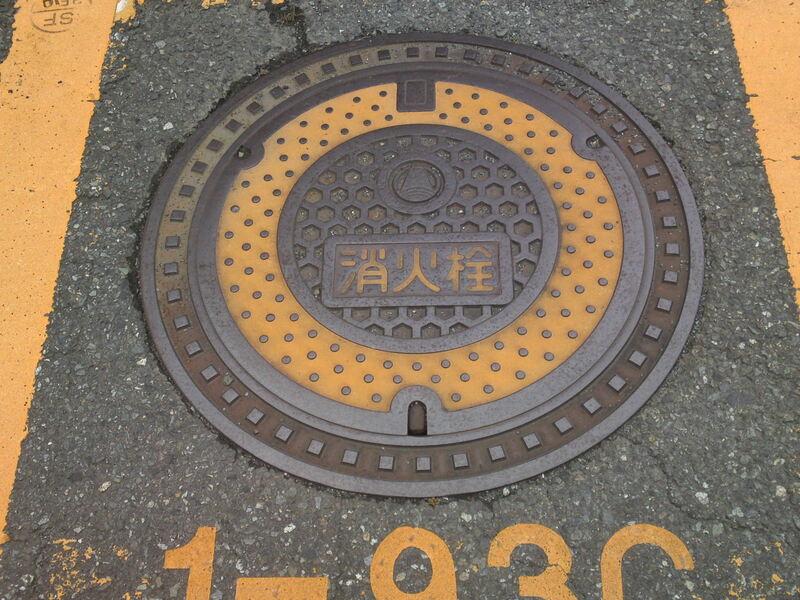 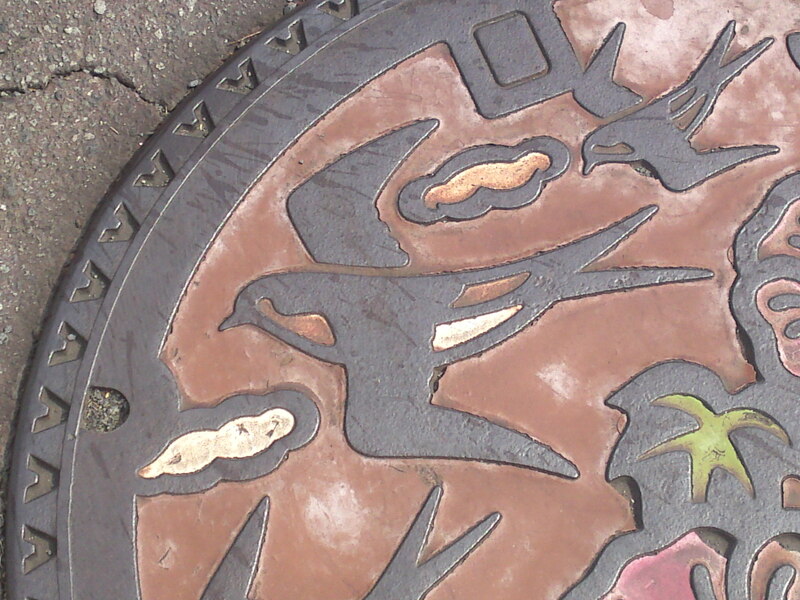 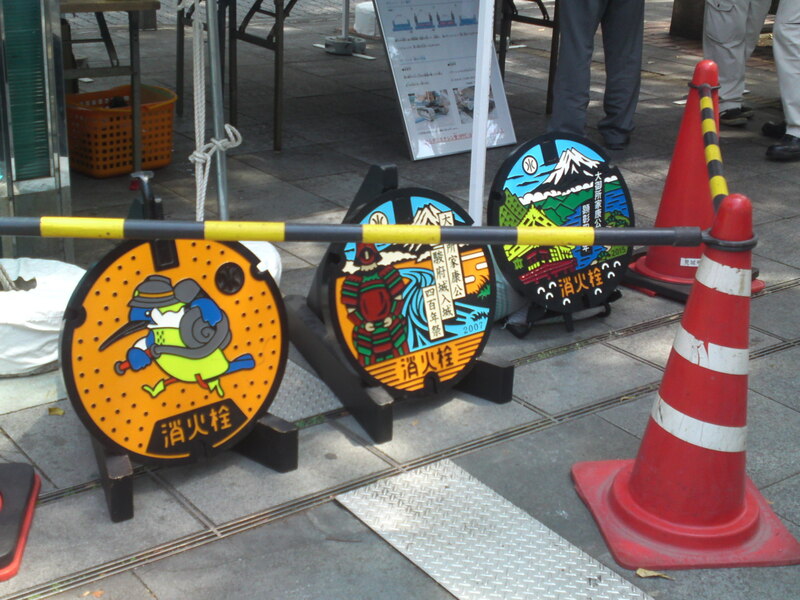 Manhole Covers in Shizuoka Prefecture 36: Fuji City, Yoshiwara, Honcho! 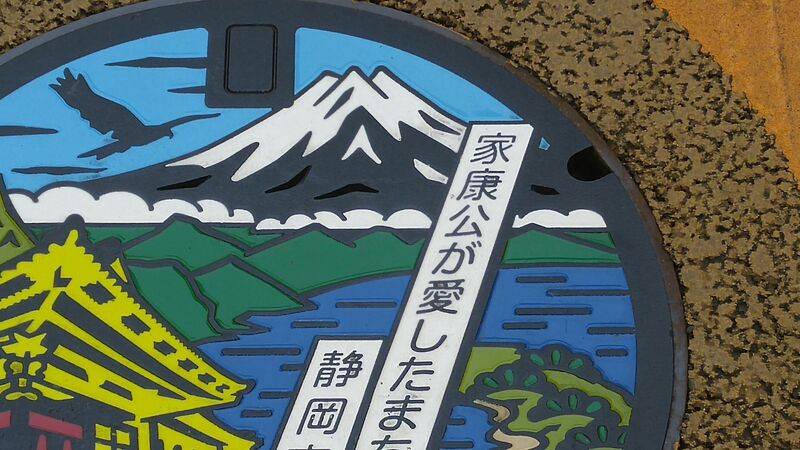 With all the mergers enacted these past years, it has become difficult to explain locations in Shizuoka Prefecture! 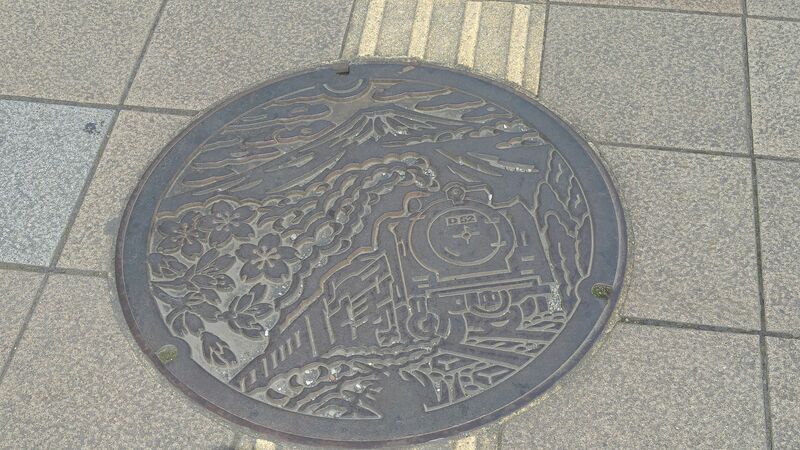 Yoshiwara is now integral part of Fuji City but its JR Railway Station is distinct! 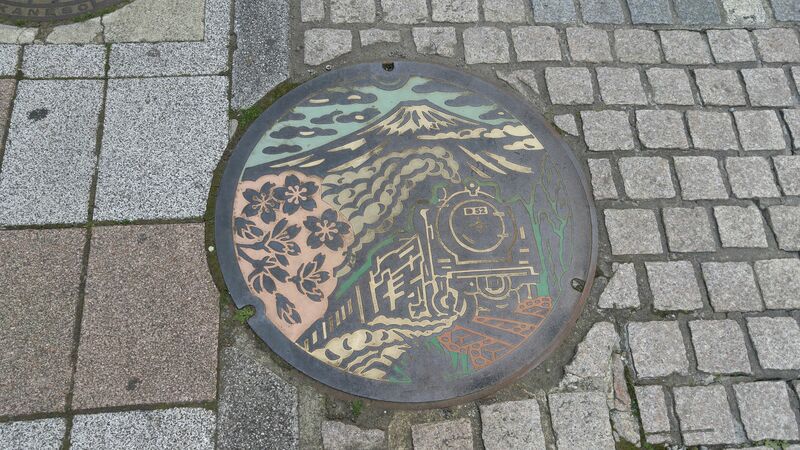 First get off Yoshiwara Station and walk to the private Gakunan raliway Line Yoshiwara Station and board a train to Yoshiwara Honcho Station (bear mind that many stations have very similar names!). 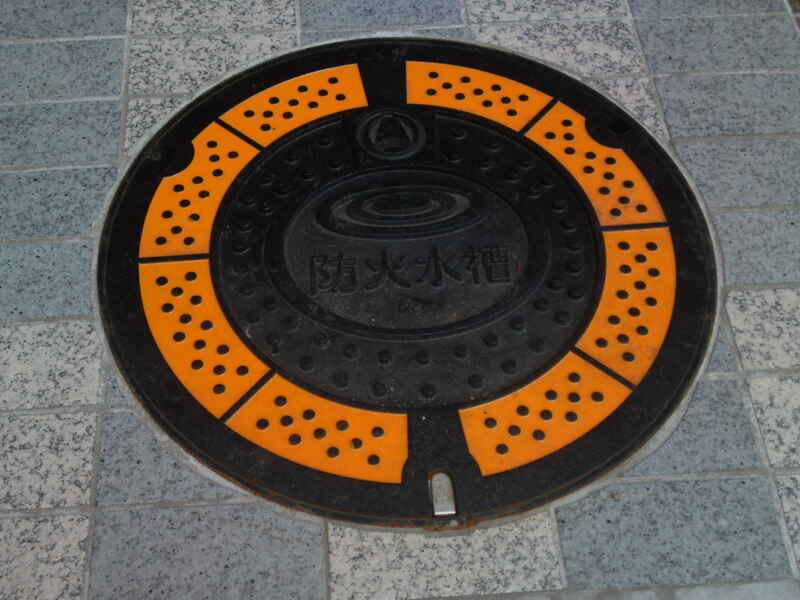 Keep your eyes open as you will discover all kinds of manhole covers, mostly fire hydrant covers either of geometrical designs or full designs either plain or colored, either on the pavement or on the very street! 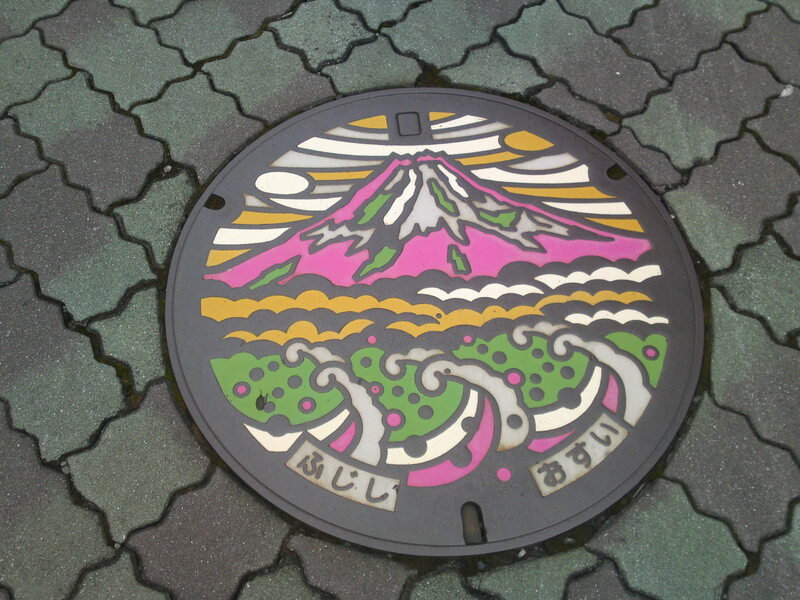 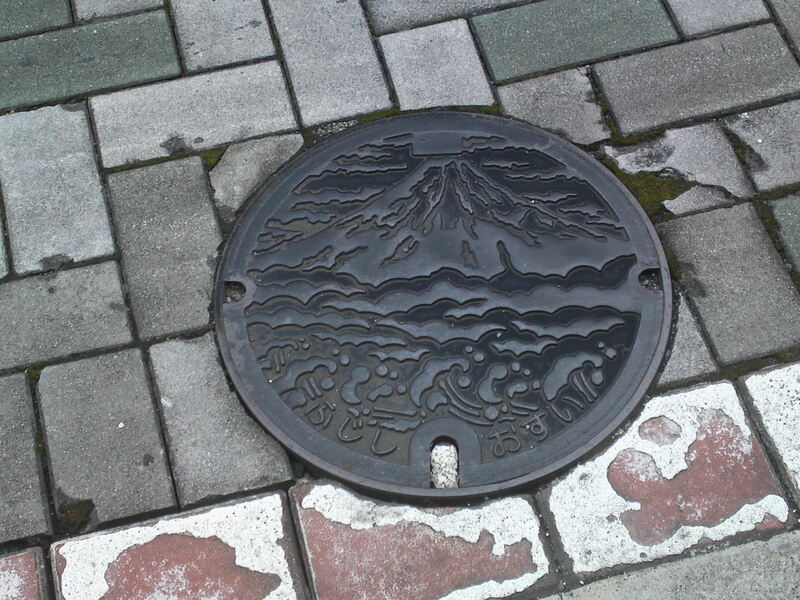 A large plain Mount Fuji manhole cover! 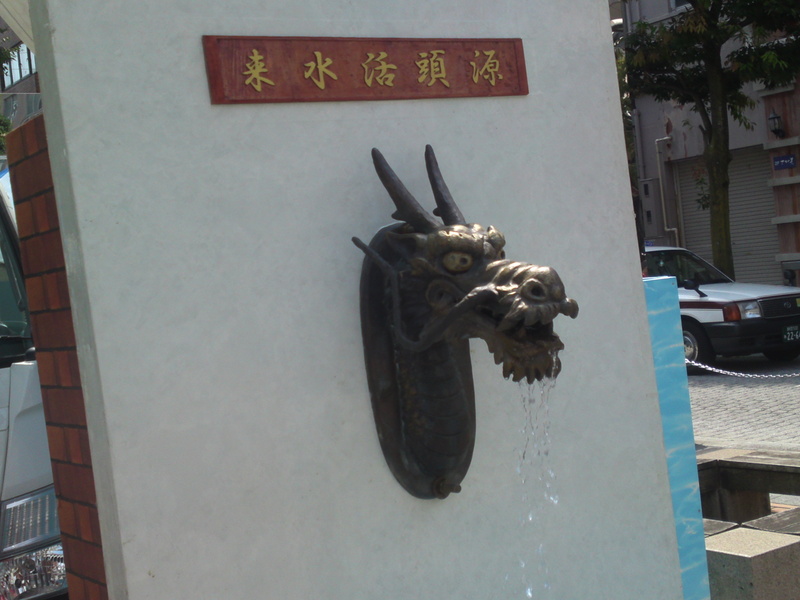 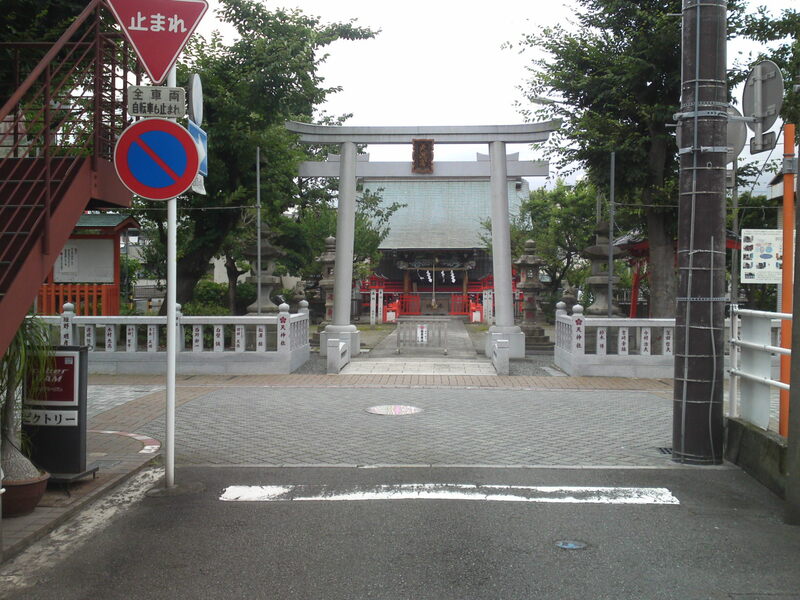 But the real discoveries are to be made along the street parallel on your right you will reach by discovering the Tenjin Shinto Shrine/天神社 at the first intersection! 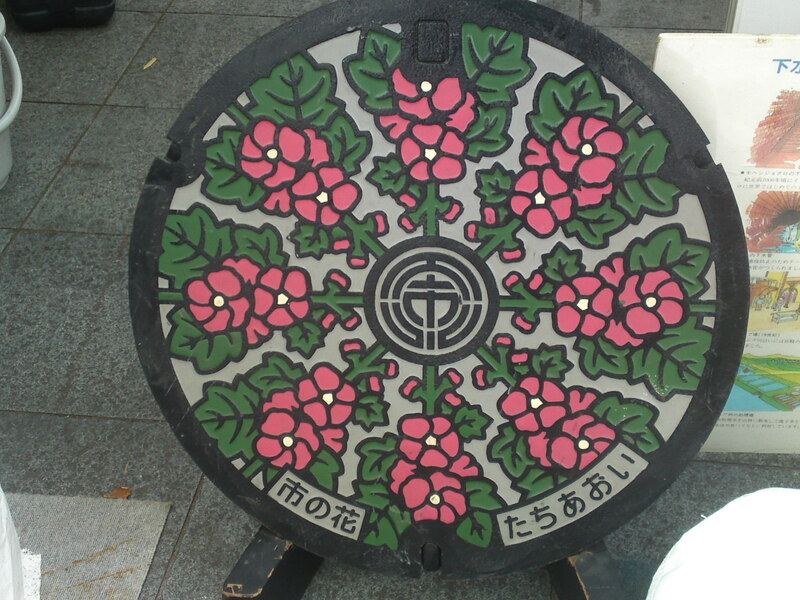 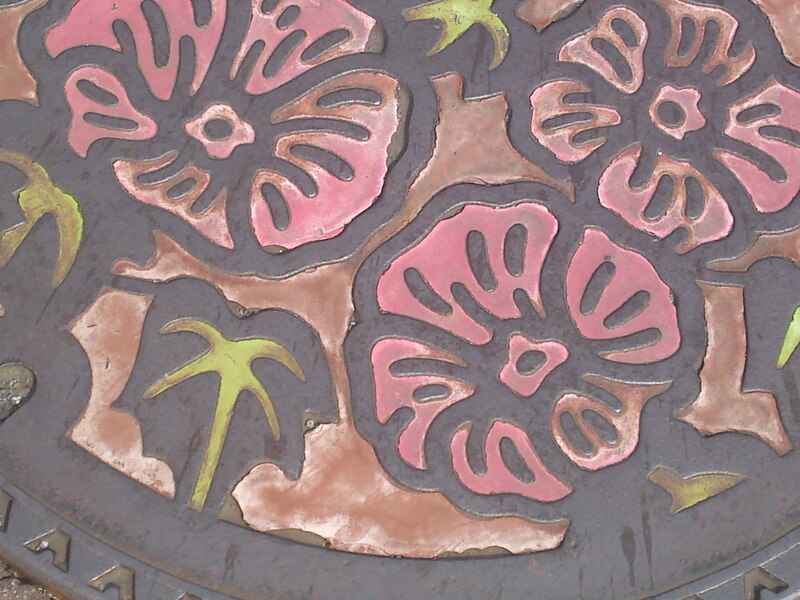 you will find the first remarkable manhole cover right in front of the shrine gate! 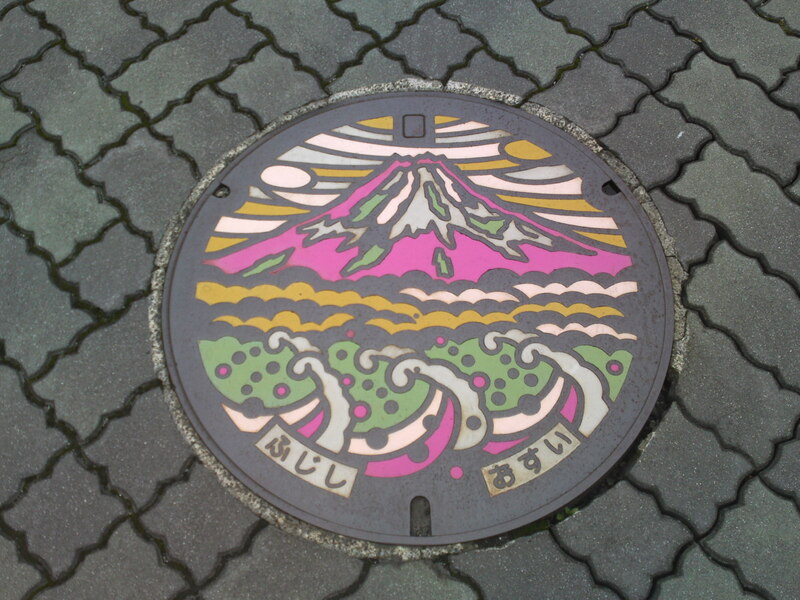 A beautifully colored Mount Fuji! 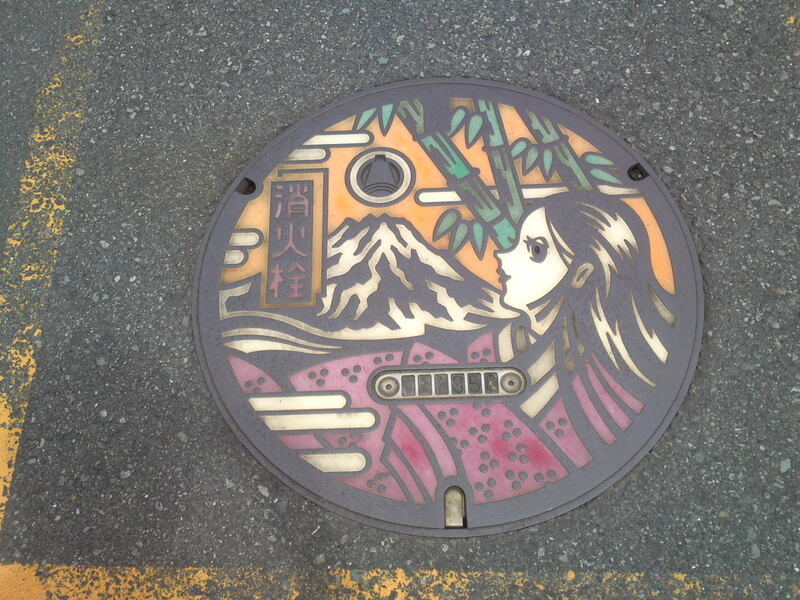 “Kaguyahime/かぐや姫/The bamboo Girl Legend”, the manhole cover generally considered as the most beautiful in Japan, complete with Mount Fuji! 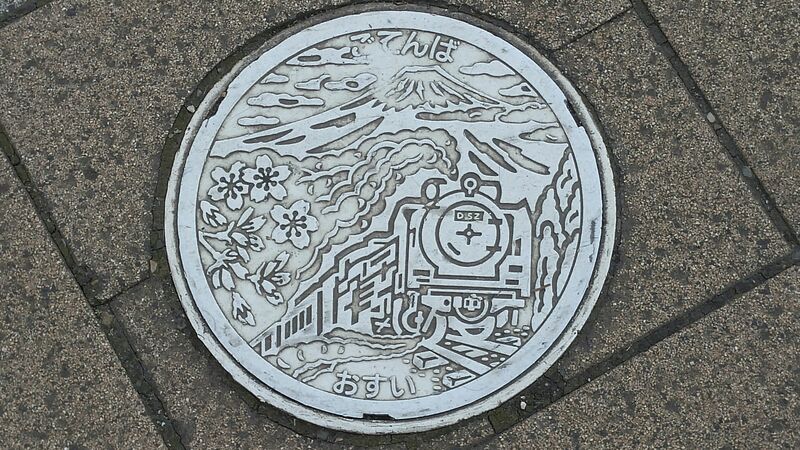 Another fire hydrant manhole cover! 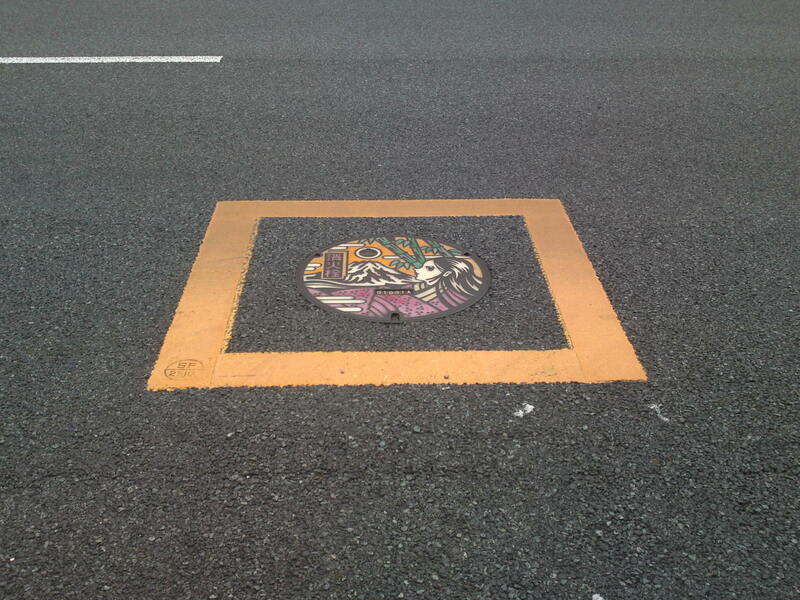 These are often surrounded with a square yellow frame for better sighting at night! 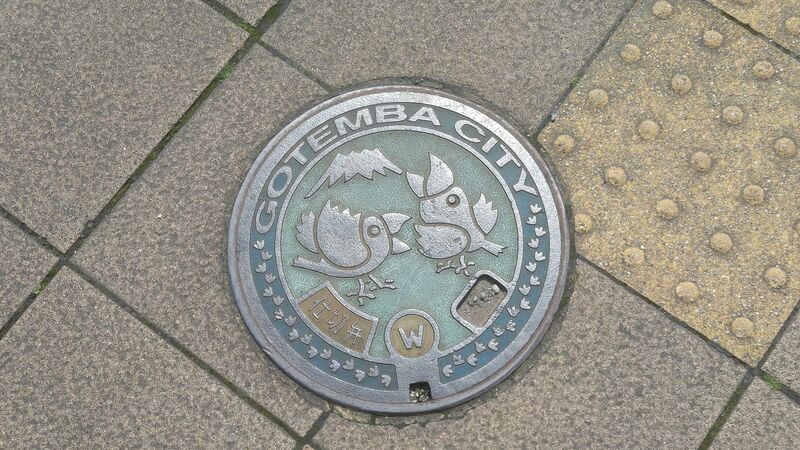 This design is pretty common all over Japan, but a small crest design will tell you the exact location! 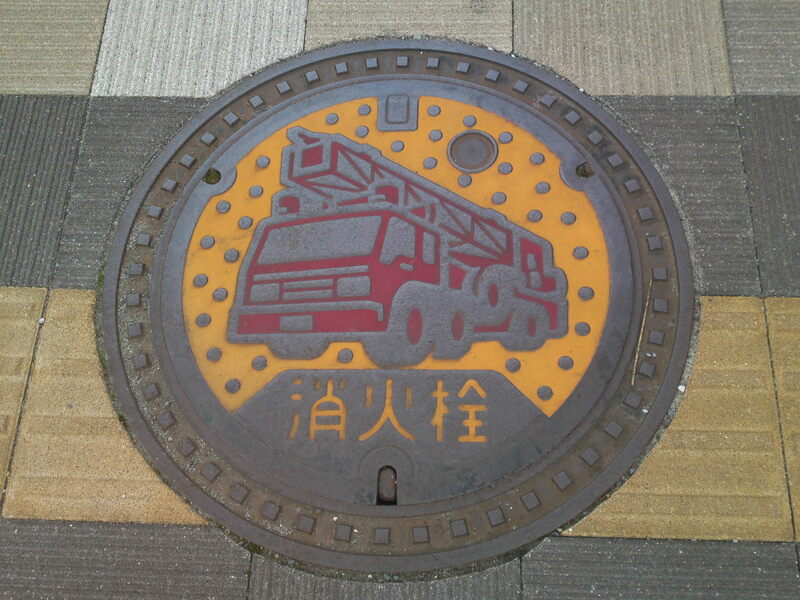 A beautiful fire truck design, also pretty common throughout Japan but once again the small crest design will make the difference! 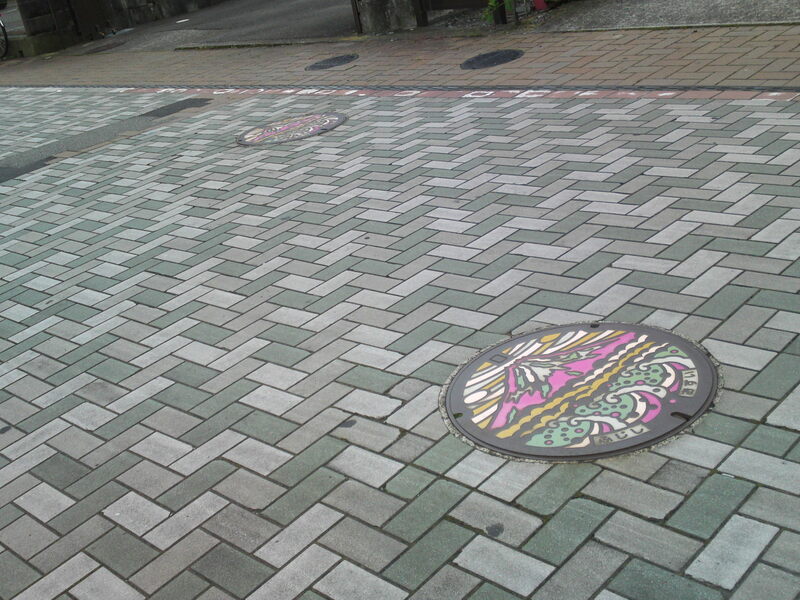 Don’t overlook the small gas valve covers as they sometimes have all kinds of designs! 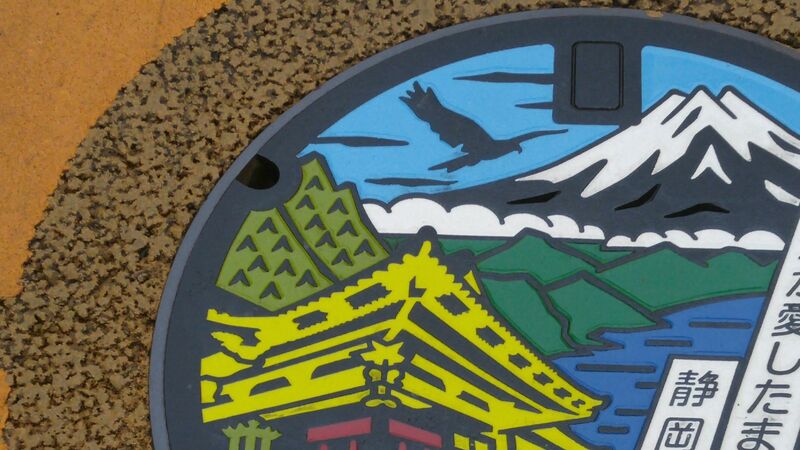 Another one still with same crest design! 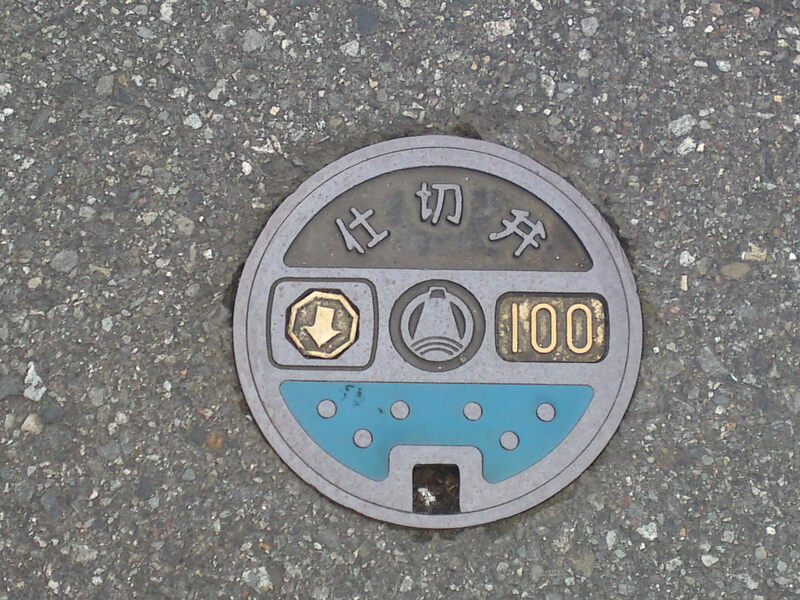 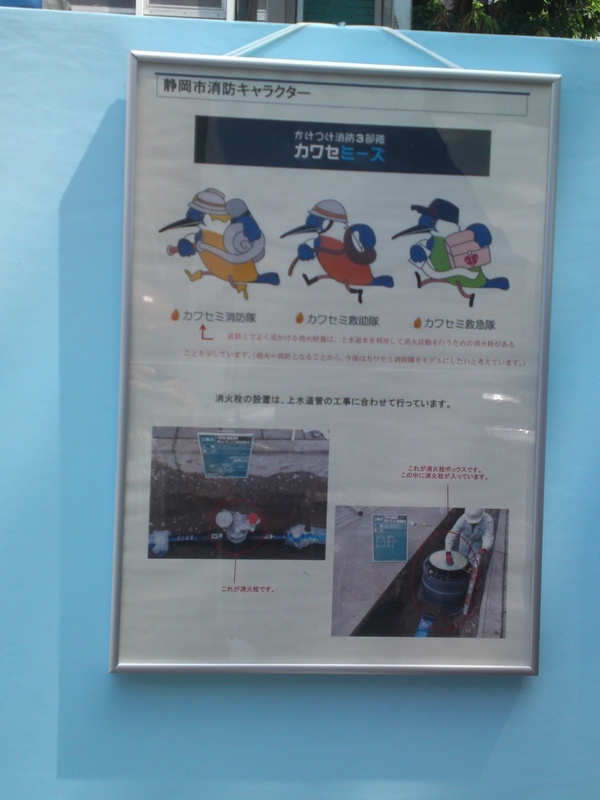 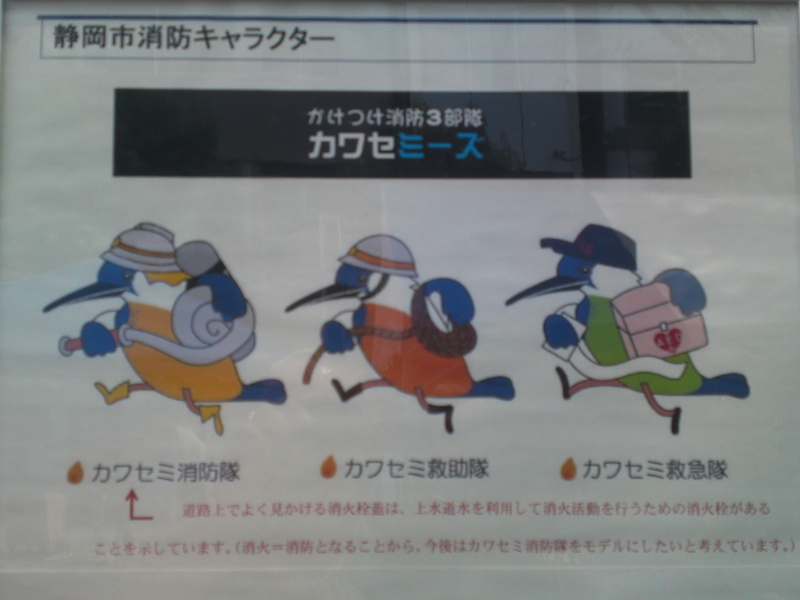 This one is from the Shizuoka Gas Company found all over the Prefecture!